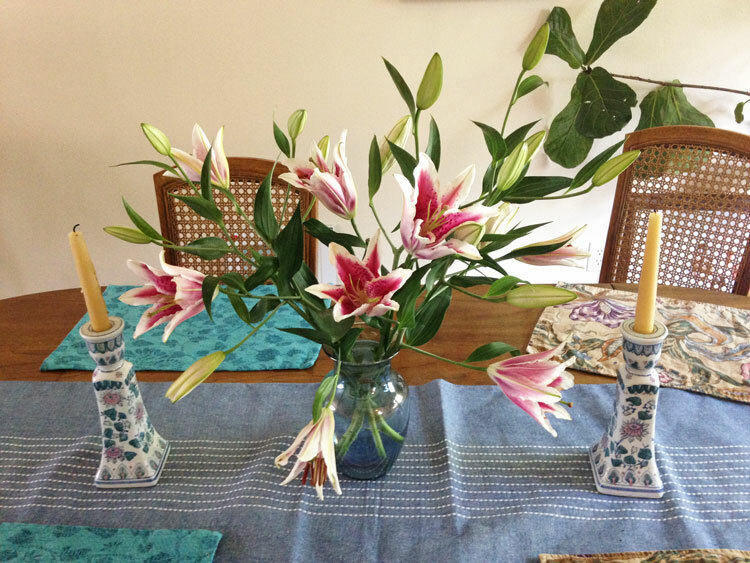 My husband surprised me with this beautiful Stargazer Lily bouquet last week. It was the best surprise and it definitely made my day! I seriously have the most amazing husband who is so thoughtful. 🙂 I absolutely love flowers and I really love how they look on our dining table arranged in a vase. 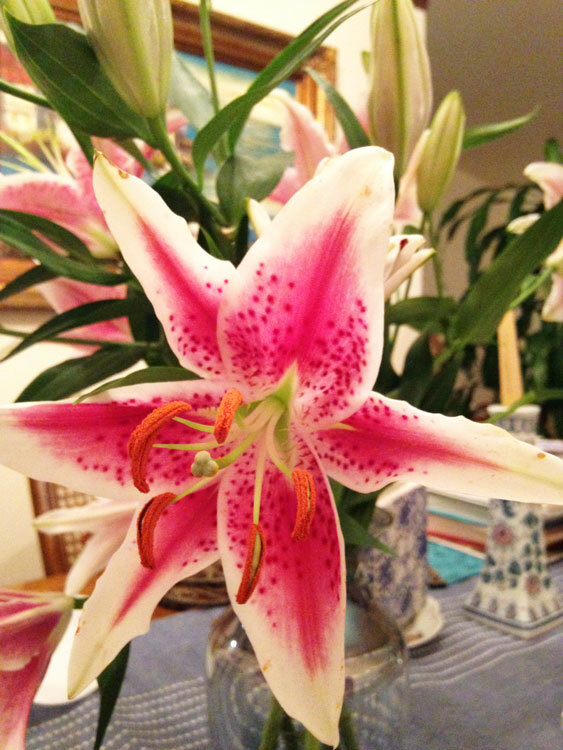 This is my first Stargazer Lily bouquet and they are definitely gorgeous blooms! The Stargazer lily flowers are so bold, dramatic and beautiful. They have an uplifting and optimistic quality about them. 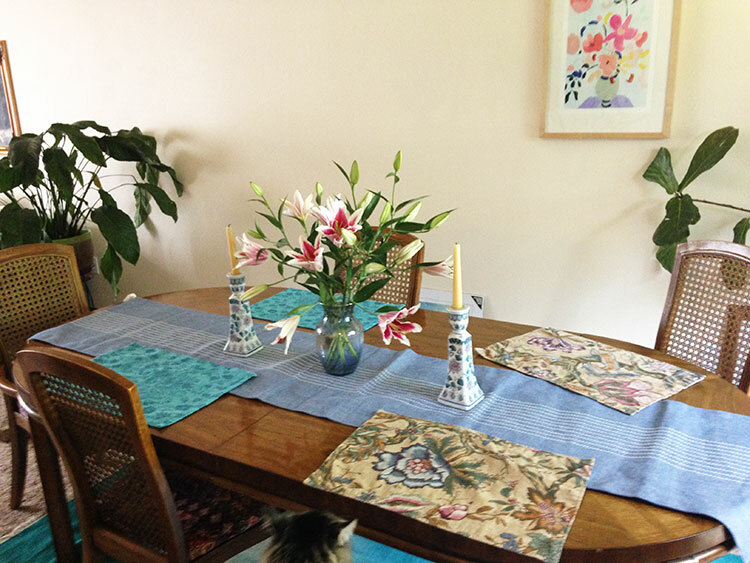 Here you can see a sneak peak of our dining room and one of our cat’s named Riley, haha. I have yet to fill the wall with art. I plan on having a gallery wall of art and photos on that wall, but for now we just have one piece of artwork a print called Arrangement No. 2 by KT Smail. I love it! It looks very pretty in the background with the Stargazer Lily bouquet as the center piece on the table. 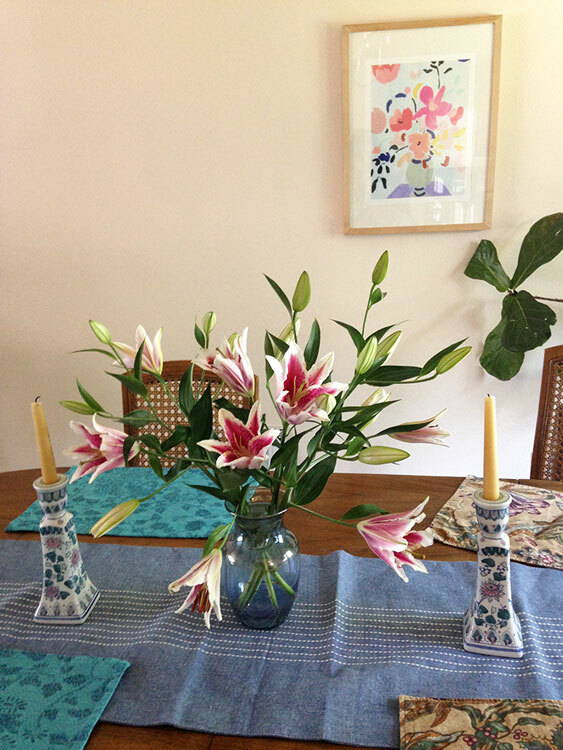 I am making it a goal to always have fresh flowers in a vase on our dining table whenever we have guests or are throwing a dinner party. While we have tons of plants in our home, flowers emit their own beautiful ambience and they will always be a welcomed addition at our home. We our having family stay with us during the upcoming holidays, so I look forward to having another pretty bouquet then! What about you do you get bouquets to have in your home often or at certain special occassions? Also, what are your favorite fresh flowers to have?